Warner Bros. and DC continue to expand on the small screen as the latest sees a Secret Six TV series in development at CBS. Variety reports the Secret Six TV series has received a pilot production commitment at the network. The series is described as following six morally ambiguous strangers, each with their own unique specialties and secret pasts. They are brought together by an enigmatic figure who blackmails them into working as a team to expose the corruption of the corporate and political elite. 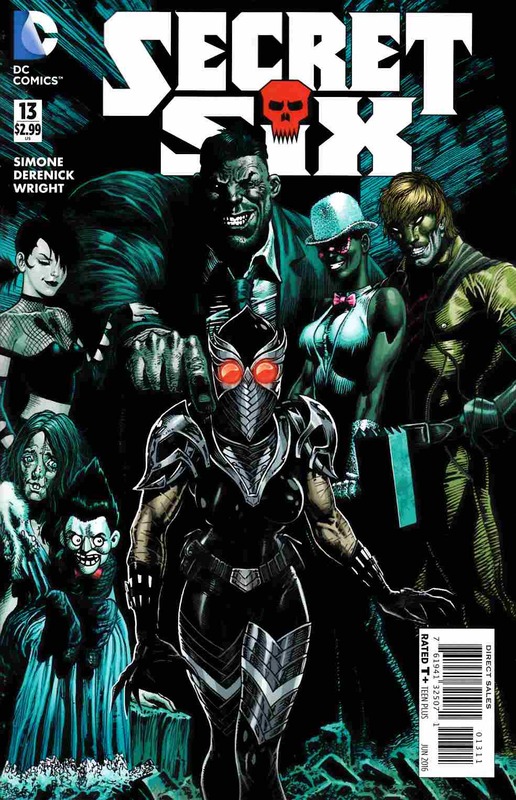 As noted, various DC characters have been members of Secret Six including Deadshot, Lex Luthor, Harley Quinn, Bane and others, but it remains to be seen which characters will be featured on the TV series. Rick Muirragui (Suits, Charmed) will write and executive produce, with Bill Lawrence and Jeff Ingold executive producing. CBS previously debuted the Supergirl series prior to it moving to The CW. WB also has Arrow, The Flash, Legends of Tomorrow and a possible Batwoman series at The CW. The Gotham Season finale also kicks off in 2019. WB also recently launched their DC Universe streaming app, which has Titans premiering on Friday, with Doom Patrol, Swamp Thing, Stargirl and a Harley Quinn animated series in development. Season 2 of Krypton will also be airing again on SYFY.